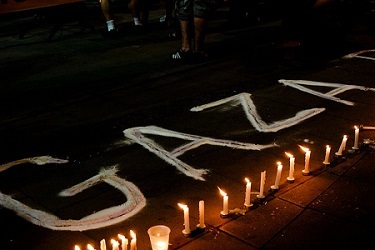 Israel’s assault on Gaza this summer provoked sharp criticism from Latin American governments. Condemnation came not only from Cuba, a long-time critic of Israel, and from Bolivia, Venezuela, and Nicaragua, which have been without diplomatic ties to Israel since cutting them after previous conflicts in Gaza in 2009 and 2010. This summer’s UN-estimated 1,500 civilian deaths also provoked outrage from center-left governments, as Brazil, Chile, Ecuador, El Salvador, and Peru all withdrew their ambassadors. At the Mercosur summit at the end of July, Brazil, Venezuela, Uruguay, and Argentina issued a joint statement in which they criticized Israel’s “disproportionate use of force…which has almost exclusively affected civilians.” And one of the largest popular demonstrations worldwide against the Israeli action took place in Chile, home to hundreds of thousands of Palestinian descendants. Latin American interest in Israeli-Palestinian affairs is deeply rooted in the past. Waves of immigration beginning a century ago have made the region home to the largest Palestinian diaspora outside the Arab world. Latin American governments provided crucial support for the 1947 UN Partition Plan for Palestine that led to the creation of the state of Israel, but they roundly condemned the occupation of the Gaza Strip 20 years later. In the Cold War era, Israel provided military hardware to rightwing military regimes in the region while the Palestine Liberation Organization, more leftist than Islamic in its revolutionary views, lent political and economic support to the Sandinista government in Nicaragua. Contemporary Latin American governments have taken a balanced approach in their relations with Israel and the Palestinians. All but Colombia, Mexico, and Panama have recognized a Palestinian state based on national borders prior to the 1967 Arab-Israeli war, and trade with Israel has flourished. Brazil is the top destination for Israeli exports, totaling over $1 billion per year. In addition, Israel signed free trade agreements with Mercosur in 2007 and 2010; became an official observer to the Pacific Alliance (Chile, Colombia, Mexico, and Peru) in 2013; and in May 2014 approved a four-year, $14 million plan to boost trade with the PA nations and Costa Rica. Israel’s recent efforts to further trade in Latin America ironically developed out of a desire to shrug off some of its dependency on Europe, where criticism of Israeli policy has become widespread and boycotts of Israeli goods are being organized by advocates of the Palestinian cause. This summer’s fighting in Gaza chilled diplomatic relations between Latin American governments and Israel. The Israeli Foreign Ministry described the withdrawal of Latin America ambassadors as a “hasty” decision that would only encourage Hamas radicalism, and it struck a nerve in Brazil when dismissing its “moral relativism” as an example of “why Brazil, an economic and cultural giant, remains a diplomatic dwarf.” But both Israel and Latin America stand to gain from stronger economic ties, and with the exception of Chile’s suspension of trade talks, there are no pending signs that economic relations will suffer further now that this round of fighting in Gaza has come to an end. The significance of this summer’s events lies instead in the autonomous decision by Latin American governments of all political stripes to act in favor of peaceful conflict resolution and the protection of civilians enveloped by the violence of war. The Assad regime’s massacre of its own citizens in Syria in recent years provoked a more reticent condemnation from Latin America’s center-left governments and regional blocs, which backed a negotiated solution to the conflict while strongly opposing the possibility of foreign military intervention. Without the specter of a wider conflict looming over this summer’s Gaza crisis, Latin American governments seized the opportunity to stake out a firmer position. The region’s reaction to future atrocities – which may come sooner rather than later as the US prepares to battle the “Islamic State” in Syria and Iraq – will show how durable this new approach will be.